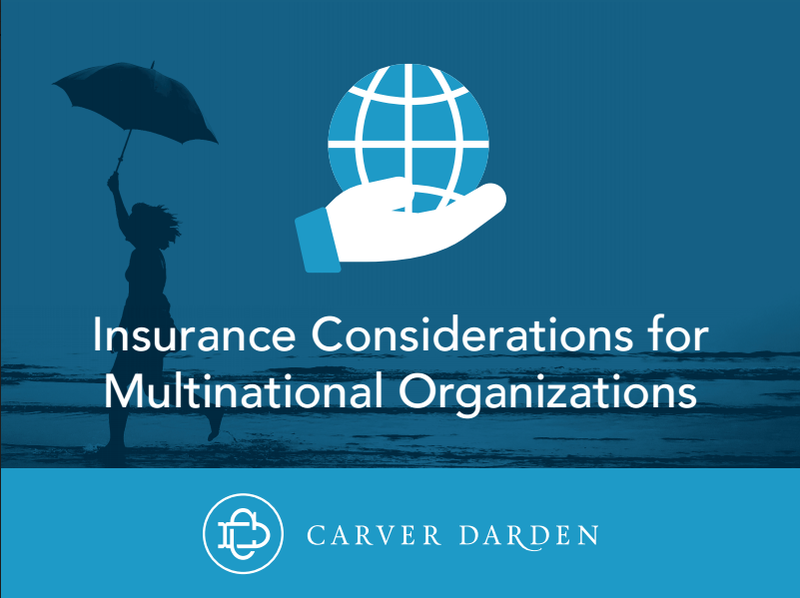 Insurance Considerations for Multinational Organizations, written and presented by Carver Darden attorneys, Jacqueline M. Brettner and Sarah E. Stogner, provides a general overview of available coverages and salient considerations for the creation of comprehensive insurance programs for multinational organizations. In this presentation, you will learn about common insurance coverage gaps on an international level as well as how to manage your company's risk on a domestic, national level. Disclaimer: Nothing in this presentation constitutes legal advice. The information is offered only for information or educational purposes and it should not be relied up as, or substituted for, legal advice.